Adverbs are words like slowly, happily, here, now and tomorrow. An adverb usually modifies a verb and provides more information about the manner, time, place or circumstances of the activity denoted by the verb or verb phrase. 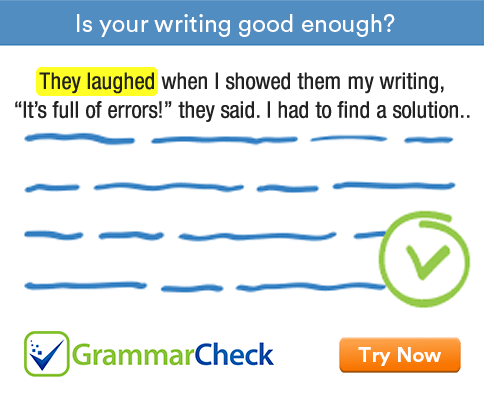 An adverb may also modify an adjective or another adverb. Most adverbs can be modified by degree modifiers: slowly, very, rather, too etc. Most adverbs form their comparative and superlative forms with more and most. Any subordinate clause which behaves like an adverb. An adverb clause may express place, time, manner, cause, purpose, concession or circumstance. An adverbial participle is a kind of non-finite verb phrase. It behaves like an adverb with respect to the rest of the sentence and is headed by a participle. In the following examples, the bold italic items are adverbial participles. Undeterred by the setbacks, she persevered. Arriving a little late, I couldn’t meet him. A phrase built around an adverb. An adverb phrase acts in the same way as an adverb. Examples are: slowly, now, very soon, rather, rather cunningly etc. The simplest type of adverb phrase is a bare adverb. The construction in which an adverb occurs at the beginning of a sentence. Outside the strong wind howled. Wildly she rushed into the room.